Timothy Geithner, Hank Paulson and Ben Bernake will testify in a lawsuit charging that the $182 billion bailout that saved AIG was unfair to its shareholders. But former CEO Hank Greenberg has a different beef. He argues that the terms of the bailout that kept AIG from going under were too harsh. Greenberg sued the federal government in 2011, challenging the terms of AIG's rescue. The case has finally gone to trial, and his lawyers are preparing to grill a list of star witnesses about their efforts to save the company amid the financial crisis. 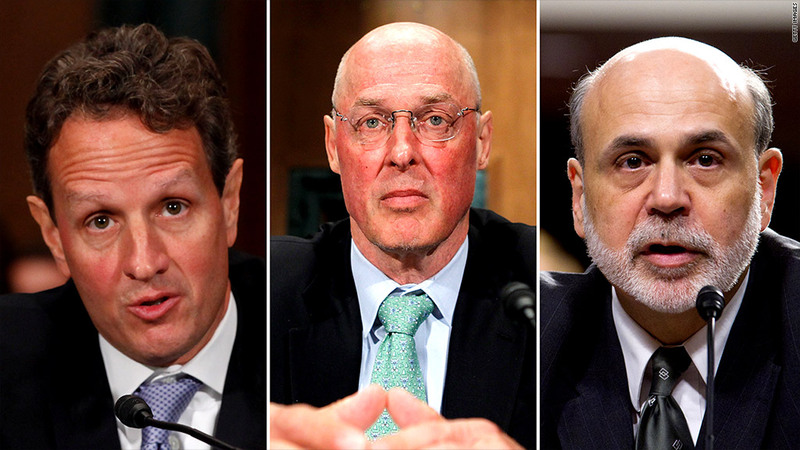 Former Treasury Secretary Hank Paulson testified Monday and his successor, Tim Geithner, as well as former Federal Reserve Chairman Ben Bernanke, are expected to take the stand later this week in Washington's U.S. Court of Federal Claims to defend their actions. When the government bailed out the insurance giant it took an 80% stake in the company, significantly diluting the stakes of existing shareholders. Greenberg, who is one of AIG (AIG)'s largest shareholders, has long complained that this shortchanged stockholders. The government did ultimately make a $22.7 billion profit on the AIG bailout. But if the company had gone bankrupt, shareholders would have been wiped out altogether. Greenberg's lawyers, led by superstar attorney David Boies, said in opening arguments last week that while the too big to fail banks like Citigroup (C) and Morgan Stanley (MS) got billions at virtually no cost, AIG was charged "an extortionist's interest rate" of 14% for political reasons. "What they have tried to do....is to demonize AIG, to suggest that somehow AIG was the poster child for the problems during the financial crisis," Boies said. Treasury has sought to have the case dismissed repeatedly since it was filed, but lost. 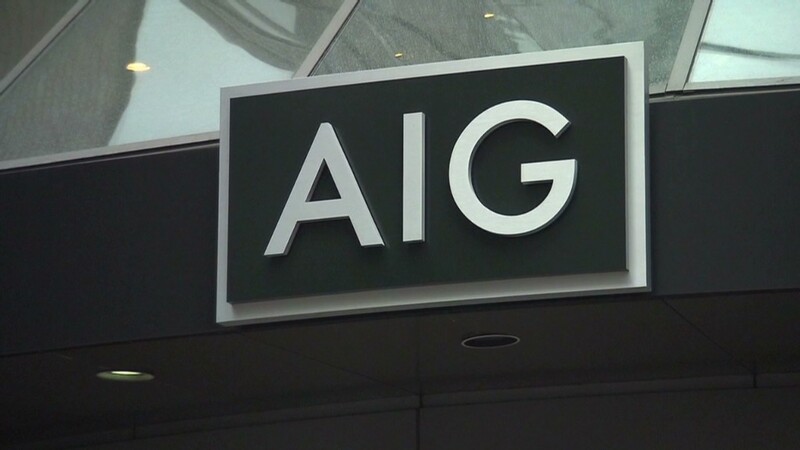 An attorney for the U.S. government argued that federal officials had to bail out AIG, because allowing it to fail would have threatened the world's economy. But, he added, that doesn't mean that AIG was entitled to get a bailout on its own terms. "We call this a rescue loan, but the goal was not to save AIG. The goal was to save the world from AIG," said U.S. attorney Kenneth Dintzer. He added that Greenberg and other plaintiffs accepted the terms of the bailout, but now that AIG has recovered, they're seeking a "$40 billion windfall."